Happy Wednesday! Here's our third collection Buttercup. Leave us a comment no later than tomorrow Thursday, January 26th by noon MST to be entered to win this collection! This is fantastic! Beautiful colors! Yellow, blue and gray - YUM!!! Love it! Can't wait to share it with our readers at PaperCrafter's Corner in our CHA sneak peek coverage! This collection is to good to be true. Yellows, grays, and teals? How delightful! The stamps are wonderful. 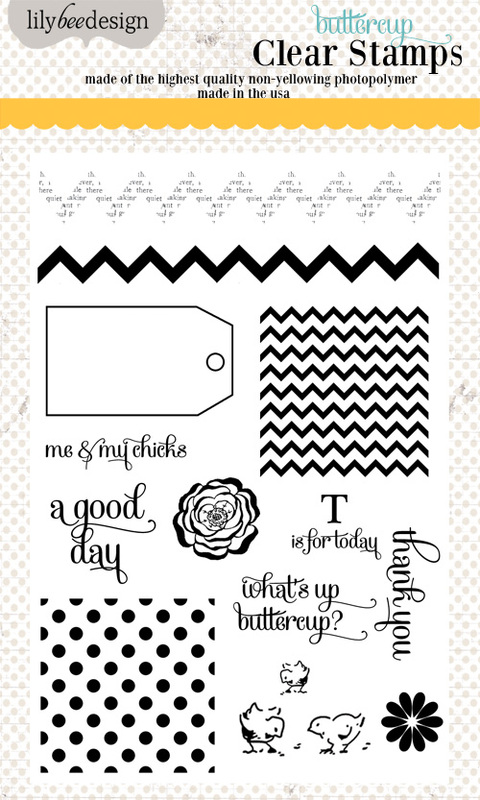 I love the chevron stamp! Thanks for the chance to win. Oh my, gorgeous. I can already tell what I'll be scrapping with this collection!!! love this line. all the yellows and blues are a must! oooohhh So pretty I love it.. I think I have to say that this is my favorite of all your new collections... I think! They are all so beautiful, but the colors in this one just captured me!! Ooh this looks absolutely yummy! Amazing color combination - so, so gorgeous! I am so impressed with your releases! I love the color combo in this collection. WOW! This is my favorite so far. I love the blue/yellow colors. And I love the stamp set too! 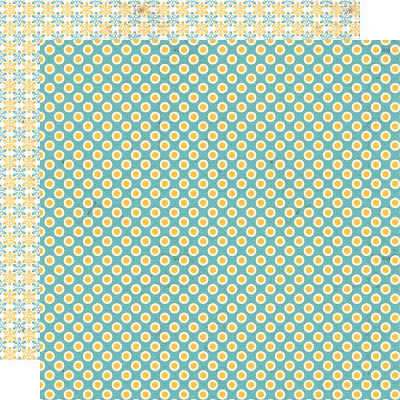 Aqua, yellow and grey, oh my! So gorgeous! Great soft colors! Amazing collection! LOVE this color combo!! Honestly one of my all-time favorites. This collection is a must have! I love the aqua blue and yellow combo!!! the color combination of this collection is brilliant! I LOVE EVERYTHING! This will be on top of my list for sure. Oh my! Perfect for my new baby boy! 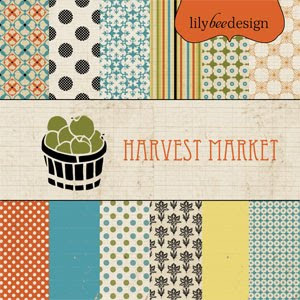 I love the color combination...and the stamps...yummy! Blues and yellows and grays oh my! Love it! I am loving the turquoise, yellow, and gray combo! Your collections have been amazing! I might have to get them all!!! Beautiful!!!!!! The colors are sublime! Super pretty! Can't wait to see it in stores. LOVE the color combo... so feminine and pretty! Oh goodness, this is gorgeous! I love the colors and patterns, thanks for the opportunity to win! I'm in love! Completely fabulous! Absolutely gorgeous colors and patterns! This one will be at the top of my list for sure! This is my favorite! I would love to have everything in these colors! STOP IT!!!! You're killing me! I love these too! Oh please pick me to win! My husband will thank you as it will not deplete our checking account (as much). 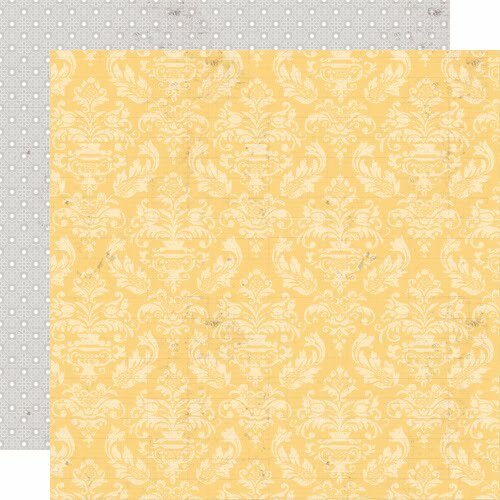 The damask paper is gorgeous and I could use the clear stamps in so many ways! Wow I love the color scheme im this collection. I have to have it! At the top of my shopping list for when the releases start coming out! Great job Lily Bee! These are just beautiful! I just LOVE that first sheet of paper with the newspaper zigzags and gray doilies, and the clear stamp with the newspaper zigzag pattern, perfect! oh my...I think this is my absolute favorite! Just love the color combinations and patterns. I will definitely be getting this entire line! I love the color story of this collection sO much!!!! Incredible! oh! I LOVE these colors, and that first piece of paper? GORGEOUS!!!! This is gorgeous! I love that yellow and Teal combo!! Beautiful color combinations! Love the little ckicks too! It doesn't get more perfect than this...LOVE this collection! I love this collection for both my girls and boy! Oh so beautiful! Love the softness with the pops of unexpected. What a gorgeous color palette and set of patterns. This is amazing! A must have on my CHA wish list! 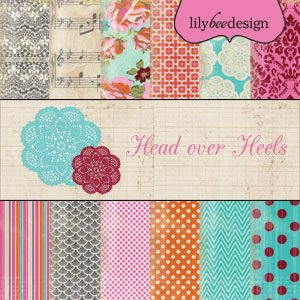 This is my favorite Lily Bee line ever! Very cute, and lovely colours! This is your best line YET! incredible colors! LOVE this color palette! Sooo pretty! So cute! Great colors, love the stamps!! Two of my boys are getting married this summer. One of their colors is Grey/Yellow, so of course I NNEEEDDD this collection! It's simply yummy! 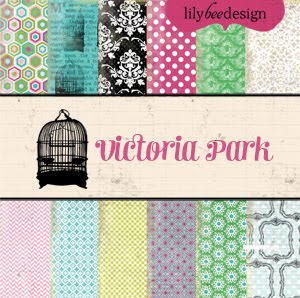 Love the colors and the designs - just gorgeous!!! I love all the blues and greys! This is what I am missing in my stash! This is Gorgeous with a capital G! I especially love the blue chevron and grey polka dots! Oh, and did I mention how much I love the alphas and stamps. You hit a home run with this collection!!! The aqua/grey combo is amazing!!!! Just beautiful! You have really hit it out of the park with this release! Buttercup, blue and grey. What an amazing combination. Love this new collection. Very versatile and I love the color combo. Love the pale purple color! Gorgeous as always, especially love the grey. I am in love with aqua yellow and grey!!!! Beautiful collection! Oh, this one's fabulous too! Love it! What's not to love about Yellow, Blue and Grey? The little chicks on the stamp set are so cute. So Pretty-I want this one too!!!! 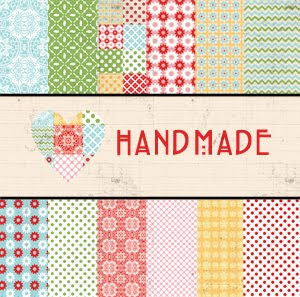 Thank you for giving us a chance to win your beautiful scrap supplies! YOU HAVE GOT TO BE KIDDING! 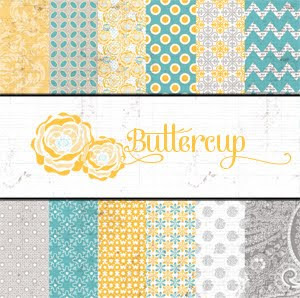 My nickname from my dad is buttercup and the colors above are my FAVORITE color combo right now - in fact it's the colors I've chosen for my craft room! This line was meant for me in every aspect! I LOVE IT! ooooooo, gray, yellow, and blue!!!!!!!!!!!!! I LOVE IT! Love the designs! they are so pretty but yet so subtle! Great collection! 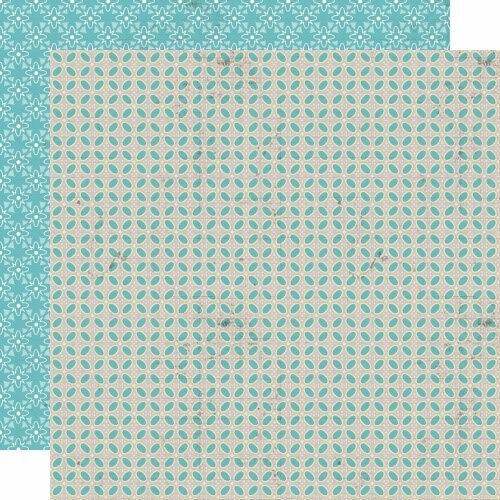 The patterns are so pretty and I love the color palette! Great collection! Oh, wow! I love so many of these papers!!! Love this!! GREAT colors, and patterns!! the yellows and blues are so pretty and springy!! Loving the yellow / blue / grey colour palette ~! Yummy colors! 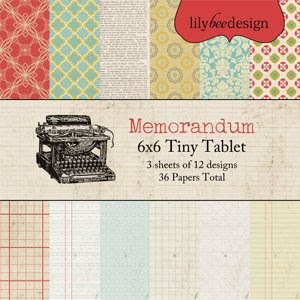 Love that 6 x 6 pad! Perfect for cards! OH MY... THESE COLORS!!! This is definitely my favorite of the new collections. Thank you so much for the chance to win! OMGosh! Seriously, this is my favorite paper release I have seen of all the CHA sneaks! 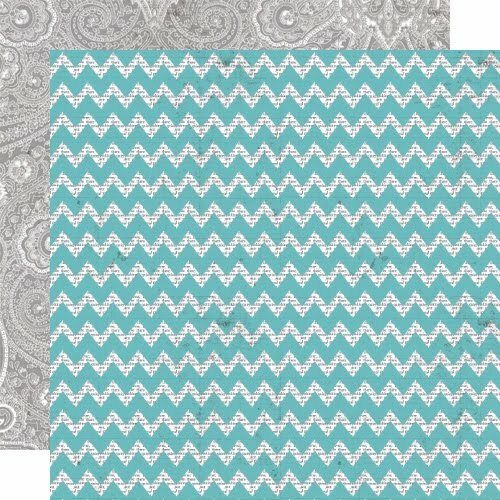 I LOVE the color scheme and all the tiny details like the print behind the chevron. Brilliant! I love the colors!!! Stunning new release!! Another fabulous line!!!! Love the colors!! OMG I am loving the colours in this range, so hoping I am the lucky one...loving all the releases!!! 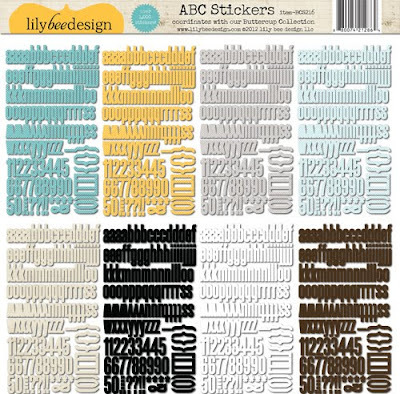 perfect color combo to use with my twin nephews and many other layouts too!! Ooh, love the colors, especially the yellow! Another great line! Another wonderful collection - love the real and yellow! Gosh this is another gorgeous line!!! Love the color palette! Once again, I am so excited about your designs! Love the blue, yellow and gray together! Beautiful! I love this color scheme! Oh my word! What an awesome collection this is!! LOVE LOVE LOVE the color scheme on this one and all of that chevron! The colours in this collection are so fresh! Just love these papers! I love the delicate colors in this collection. Gorgeous! I love gray as a neutral - paired with yellows and blue is such a beautiful combo!! Love this one! Oh my, my heart's a fluttering over this gorgeous collection! Love the colors!!! Oh my!! Now this one's absolutely my favourite!!! <3 Love the colours and patterns! This is soooo pretty! I love the yellow! Oh such a beautiful combo of colors and the patterns are to die for! This is stunning! I can't wait to get my hands on all of your new collections! Wow---I LOVE< LOVE< LOVE this color combination! Superb! 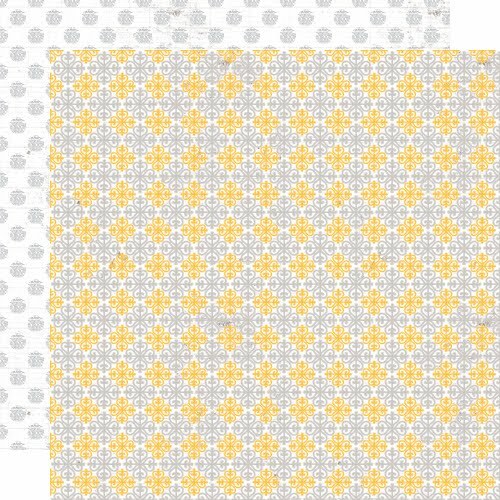 I would love to wallpaper my room in that sunshine yellow! Wow! I love love love this! I screams for me to make a banner!! Gorgeous colors and designs! LOVE IT ALL! These colors are just gorgeous together -- love, love, love. Oh My! I love it all, but esp those cute chick stamps!!!! Wow, I love the teal and yellow colors in this collection! Fantastic colour combination. Oh dear my 'need' list is growing fast! Love the colors! So fresh and bright! I love this color combo. This would be great to scrap pics of my nephews and still have some color! Thanks for sharing! I just discovered one of your earlier papers yesterday; in just those colours. Perfect for boy-layouts! these colors are just fantastic! i LOVE them! xoxo. Gorgeous ♥♥♥ Love the colors!!! The patterns on this collection are great, and I love the color combo. Thanks for the chance to win! My 3 favorite colors!!! Love it! How BRILLIANT!!! Adding teal to the yellow/gray classic. I love it!! Love this colour combo!! Gorgeous!! This collection is gorgeous !!! !Thanks for the chance to win. Love everything you guys are doing! Can't wait to find this in stores! This one's my favorite! Great colors - I especially need the alphas! WOW! I love the color combo and the pretty smaller prints! Great reveal! 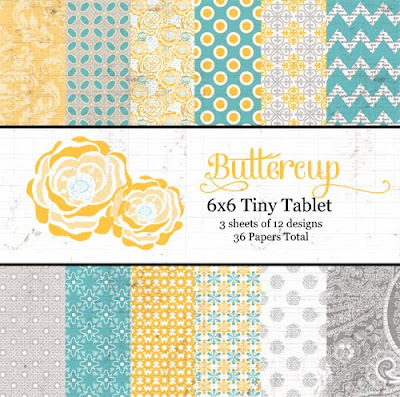 I'd love to win this pretty collection to get a jump on more scrapping this year. So much to do!! Amazing color combinations. This line looks so versatile. Love the alphas as well. 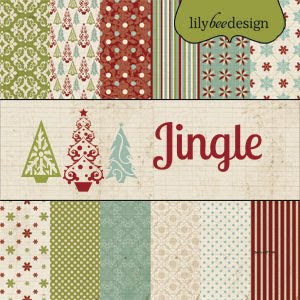 Hooray - this is my favorite so far - love the colors, need the stamps! Fab colours. I think this may be my favourite collection. Great colour combo! Thanks for the chance! Blue and yellow is my favorite color combo!! 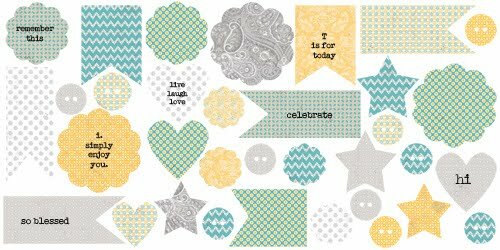 Beautiful papers and stamps are lovely, too! This is so soft and pretty. The stamps are great too. Wow, this is such gorgeous collection!! I love all the blue, yellow, and gray .. Thanks for the chance to win.. I absolutly adore this collection, those colors are some of my favorite go to colors! so soft and adorable - very cheery! Those colors are stunning! And I like the print patterns too! My favorite color combination! It screams spring! Just love the new collection and especially the extras like the stamp set too.The patterns are so great for paper crafting projects. You are outdoing yourselves at Lily Bee. Another lovely collection with gorgeous colors. Loving all the blues! SO in love with this collection! Absolutely beautiful papers ! Gorgeous colors...love the stamps too ! Love the blues & yellows! So pretty! The colors are just luscious! I love the blue/yellow combo! Another great release that I can't wait to see in person! Love the color combo of this collection!!! Thanks for the chance to win!! Like everybody's saying...these colors are great together. Love the stamps! I love Buttercup . My hubby called me. Buttercup . He says What's up Buttercup. Buttercup reminds me of a European feel. I love it! 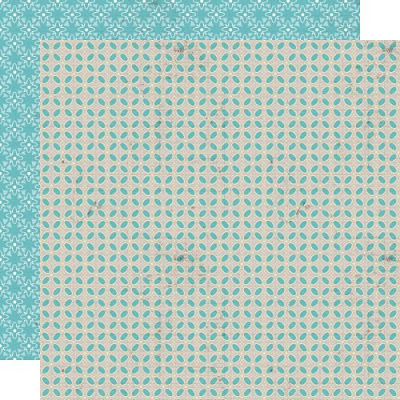 I really like the chevrons, aged solids, and polka dots!! Just fun! ooooo! love this color combo! This so pretty!I just love it! These are sooooooooo springy and I absolutely love them. Oh my gosh!!! Oh such lovely classic designs. The colors and patterns are so yummy. I love the yellow and blue. Great name for this collection! 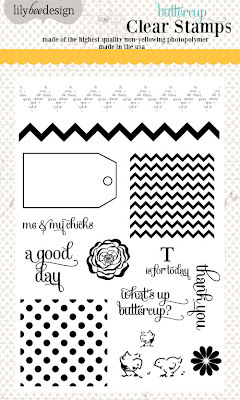 Also, really cute stamp set and love the chevron stripe on the first double sided paper! Great collection, very excited to see it! Thanks for sharing. My favorite colors! Can't wait to use these beautiful papers in a special project. Oh my little 'Buttercup' how I wish you were by my side! 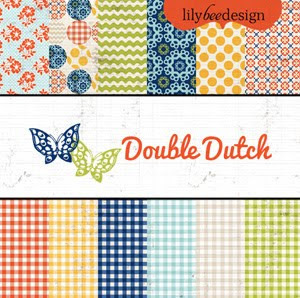 I am so in love with all the pattern paper, the patterns and colors are excellent! I'm really loving this one! 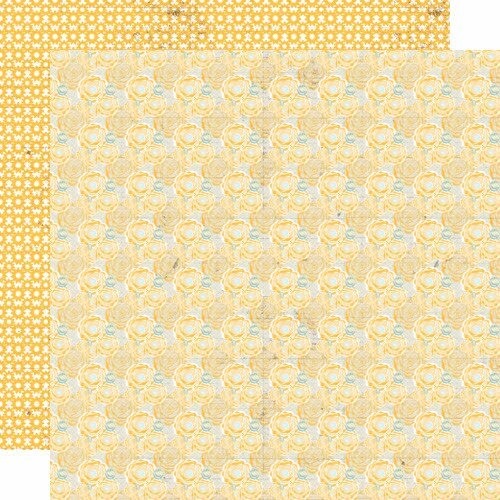 The soft colors, the little chicks, the chevrons and polka-dots...so down-home pretty, love the stickers and stamp set on this one too...it's my favorite! LOVE LOVE LOVE the color combo!! FANTABULOUS collection! 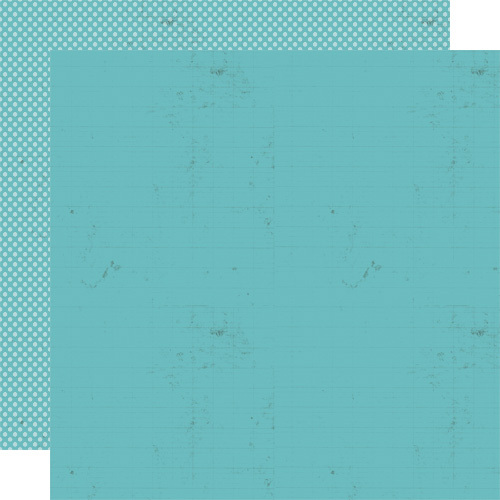 Turquoise, Buttercup and Greys....LOVE the combo. It's a MUST have!!!! Who wouldn't love this colour combination! The colors are perfect. I love that they are not too bright. This is gorgeous! Love the color scheme. Love the stamps and the papers. Would love to win; thanks for the chance! Another amazing collection. Thanks for a chance to win.